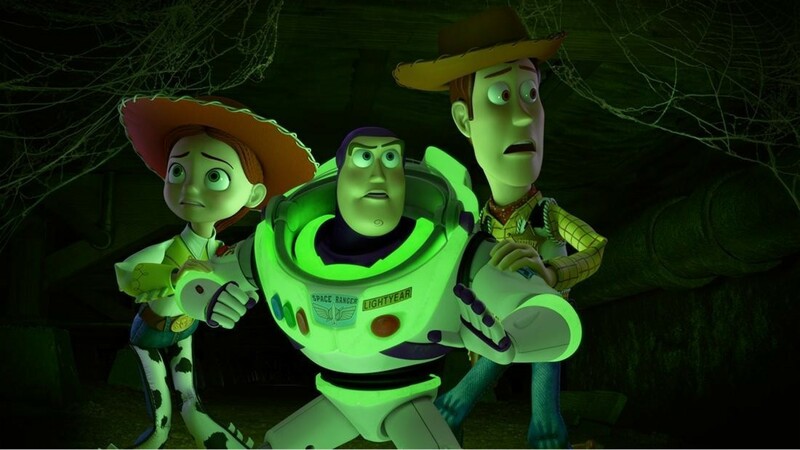 It isn’t exactly Goosebumps, but these enjoyable cartoon shorts are a great excuse to indulge yourself yet again into the wonderful world of the Toy Story gang! Enjoy! What’s this? No, really, what IS this? 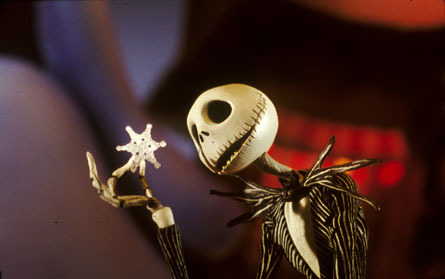 I have seen The Nightmare Before Christmas so many times, that I can recite the scenes without any prompting. Yes, it’s one of my favorites. While I don’t usually connect this movie with Disney, because it’s a seasonal movie to me, I have to admit that every time I watch it, I become overwhelmed with happy memories. Movies are magical that way. The movie has some pretty amazing songs, and a very familiar feeling to it, I believe. It’s as if we can go to Halloween-town, and visit Jack, Sally, and the rest. But we have never been the Halloweentown, so where does that familiarity come from? That feeling of “I’ve seen you before?” Maybe we have to work backwards, but take a look at this image I stumbled upon recently. Maybe the familiar feeling wasn’t there initially, they first few times I watch TNBC. Maybe, though, as the following movies were released, that whole-picture started to form and fill in the blanks. So, what do you think? 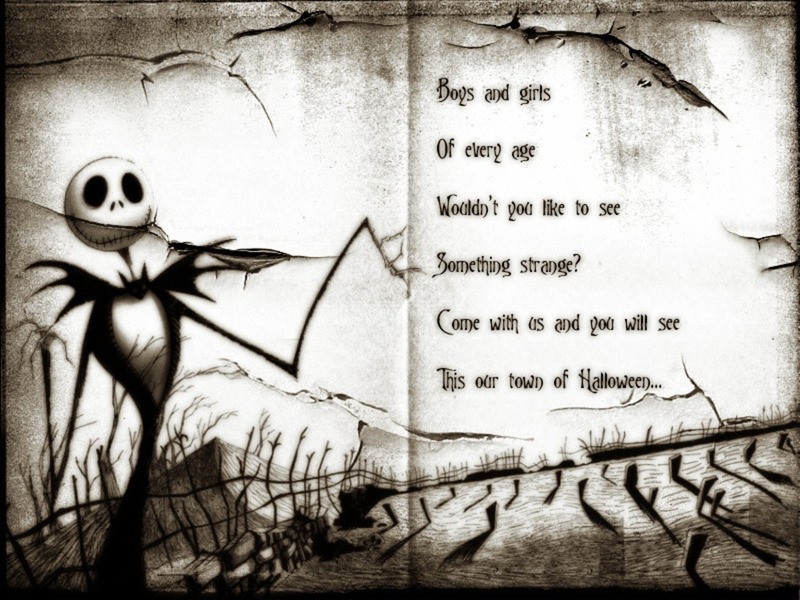 Is our favorite Jack Skellington really the little boy, Victor? He does show similiar mad-scientist-like qualities in the movie Frankenweenie when trying to bring his beloved dog, Sparky (Zero?) back from the dead. 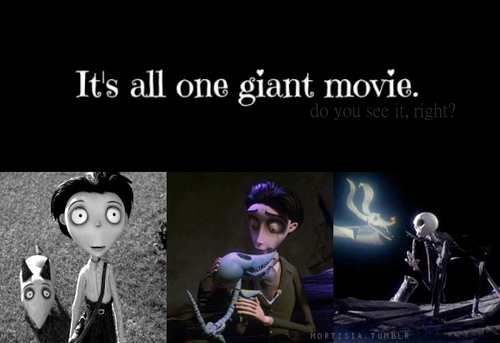 We get to see Victor grown up, in the movie Corpse Bride. When he crosses over to the other side, who does Victor see? His dog, Scraps. Scraps… Sparky… Zero? Are they the same dog? Is this the same boy?! 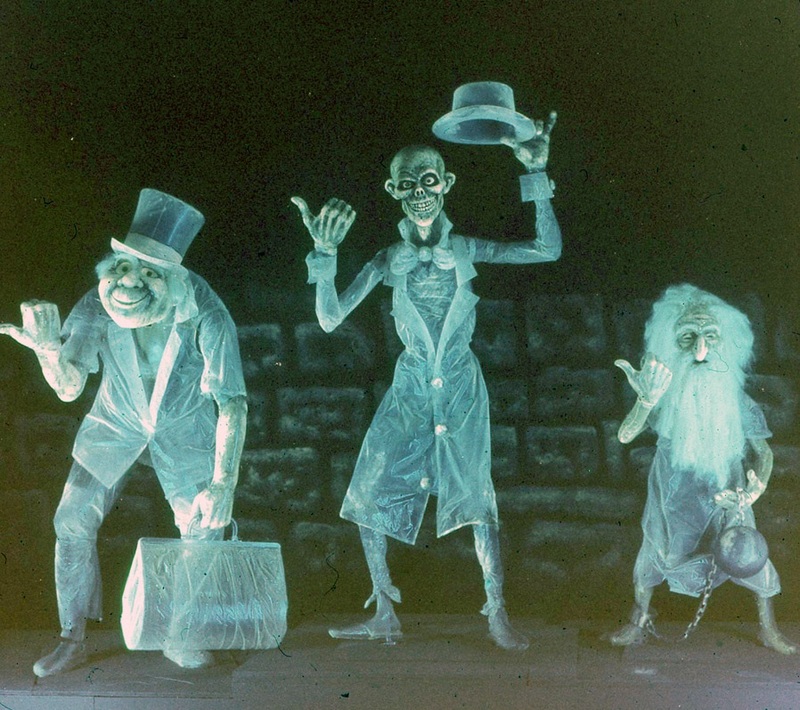 The names of the three hitchhiking ghosts guests encounter at the end of the ride are Gus, Ezra, and Phineas. Gus is the short one with the ball and chain, Ezra is the tall, skeletal one with the bowler hat, and Phineas is the one carrying the carpet bag. I also found this cool website were you can make templates of the famous trio. Check it our here! In my efforts to try and keep the next few posts until Halloween spooky, I thought I would confess to something rather embarrassing. One of my earliest memories of being scared came from a seemingly innocent Disney movie. 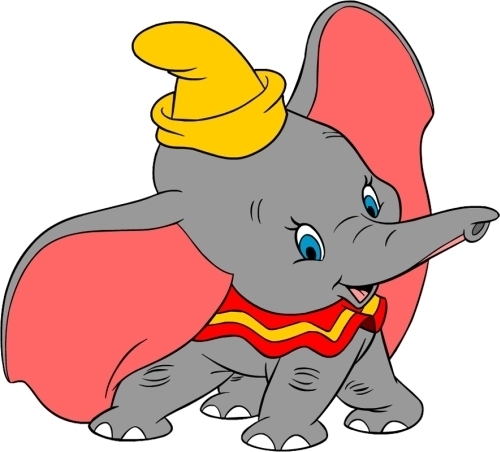 That movie was Dumbo. While I cried uncontrollably – and still do – whenever the heart-tearing “Baby Mine” plays from mother elephant to baby, I’ll admit that the fear came from a different elephant. Pink ones, to be exact. Yeah… it’s twisted. Like, I-just-partied-at-Woodstock twisted. You get my drift. The contorting, sneering, evil looking elephants freaked me out so much that I couldn’t stand to watch it. Come on! Tell me that isn’t frightening for a kid!!! Anyways, now that you’re probably trying to recall how that creepy, so-not-Disney song went, I thought I would be nice and include a link here for you to watch it. Alone. This Diva will not participate in any pink elephant parades any time soon! George the Ghost is at it Again! I cannot believe that I am just learning about this! A true ghost story, at Walt Disney World, one on of my Top Ten favorite rides (shameless plug for my next Top Ten category!). And then – I found the answer. It’s because of George the Ghost! This intriguing urban legend has some flaws for “facts”, as most urban legends do. But the story is roughly this: While working construction on the nearly completed attraction (which opened in 1973), there was a welder named George who died. His death could have come from a fatal fall off the burning city, or h was crushed to death by a beam. Either way, the story is that his spirit is stuck in the POTC attraction. See the face in the mist? Could it be George? 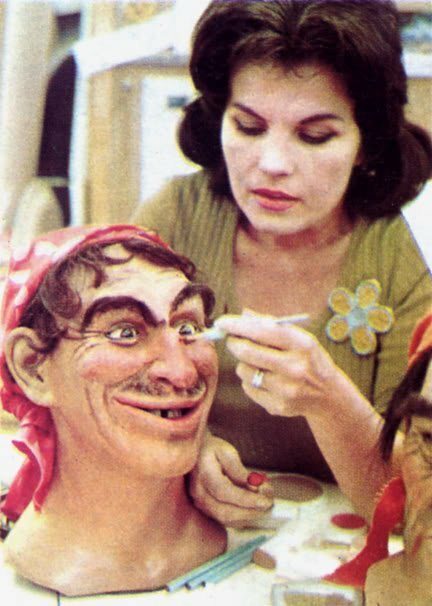 Cast Members are in the habit of saying good morning and good night to George every day. It’s said that if he is not greeted by the CM’s, or if a rider on the attraction proudly boasts that they do not believe in George, his spirit will stop the ride from working. Whoa! So in response to yesterdays evacuation, I have to ask myself this: Did a CM neglect their greeting of dear old George? Or was it, more likely, that a curious fanatic, in the midst of the Halloween spirit, challenged the restless apparition for a bit of mischief? One of my favorite rides at WDW is the classic creepy attraction, ” The Haunted Mansion“. Every time I get on the ride, I notice new things, and regardless of the dozens of times I’ve been on it, I still get a mini panic-attack in the Stretch Room! One of the most intriguing and mystical characters at “The Haunted Mansion” has to be Madame Leota. Did you know that the infamous floating head got her name from her model and voice, Leota Toombs (yes, Toombs is her real last name!)? 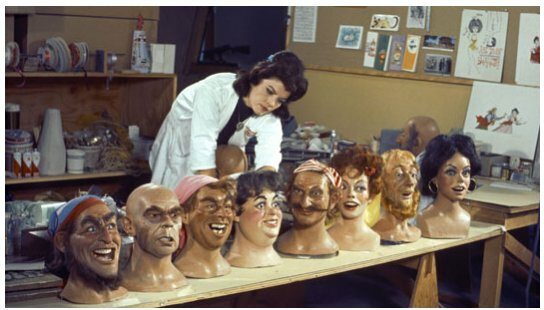 Leota Toombs was an Imagineer who worked on Madame Leota and other characters in the ride. One night at home, Leota was practicing getting into character and rehearsing her lines out loud. She must have been really into it, because, according to her daughter (and future Imagineer!) Kim Irvine, her mother didn’t realize that Kim’s date had shown up and was listening to Leota’s rehearsal. Apparently, he asked Kim “Wow, what’s up with your Mom?” before they left. That’s quite an ice-breaker! Now, enjoy all of Leota’s hard work.